On October 16, another Commissary Supervisor vacancy was posted and I jumped on it, even though there were rumors of permanent PRR position coming down the pike. Having been runner-up the last time, I got the job. Then, barely a year later, Joe Carricato filled a PRR opening after the legendary Joe Rougeau died suddenly, the victim of a heart attack. There’s no telling whether I would have gotten what seemed like a more desirable position, but I firmly believe that everything happens for a reason. In this case, it opened other doors for me down the road. 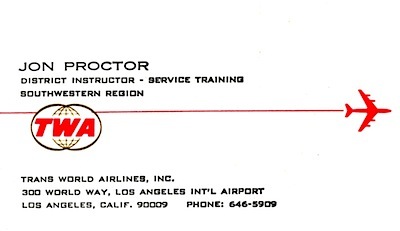 Shown in the TWA Skyliner newspaper, the LAX Dining Unit awaited its logo sign in this 1961 photo. My new boss was Commissary Manager Hank Lutz, who warmly welcomed me and provided a tour of the Dining Unit with introductions to everyone. Of course I knew Steve Ching, plus Ron Green, a former TA, who was now in Commissary and took me under his wing. For several months, we worked the same shift: Wednesday, Thursday and Friday evenings, Saturday and Sunday on the day shift, with Monday and Tuesday off. Finishing work Sunday at 3:30 p.m. and not having to be back until Wednesday at 3 p.m. provided a 72-hour break, offsetting that short night between Friday and Saturday. My salary was now an astronomical $670 a month, plus an additional $30 in differential pay for working the staggered shift. 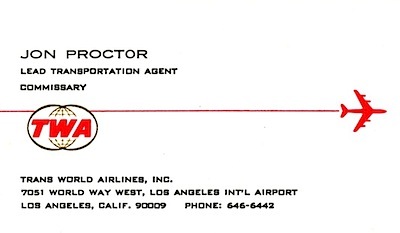 LAX Station Manager Don Heep – “Mr. 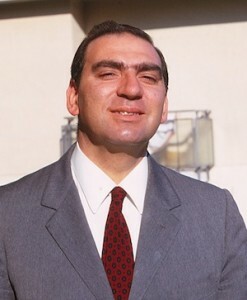 Heep” to his underlings – required the highest level of support for TWA’s product. As part of that goal, a Commissary Supervisor checked the galleys on every departure, to ensure proper provisioning and answer any questions from the hostesses working the flight. At the time, the Hostess Department reported to the Station Manager. Departing flights were always 100% provisioned, down to the last teaspoon and table napkin. We had an elaborate system for topping off the meal count and never left short; even non-revs almost always ate. TWA maintained its own flight kitchens, or Dining Units, as they were called, at Los Angeles, Kansas City and two airports at New York – Kennedy and La Guardia – plus overseas at Paris and Cairo. Entrees were freshly prepared, with such extravagances as stuffed-baked potatoes, shrimp salads and fancy desserts; we even employed our own pastry chefs. On longer flights, club steaks were served in coach, having been seared to hold in the juices, then quick-chilled for restoration in convection ovens on the airplanes. Most menus were rotated on a weekly basis, and a wide variety of special meals were prepared, everything from salt-free to vegetarian; kosher meals came from a separate vendor. On long-haul domestic flights, a choice of three entrees was offered in Golden Banner Coach, while our Royal Ambassador first-class service featured six. In addition to chateaubriand, the selection included lamb, poultry, seafood and pork. Extra portions were boarded in frozen food containers to make sure passengers received their first or second choices. While Commissary was mainly responsible for beverages, cocktail napkins, sugar packets and other dry support items, Commissary Supervisors checked all the dining items as well. It took at around 15 minutes to thoroughly inspect the galleys before departure, then sign off liquor papers and seal the containers on the inbound trips; we were kept very busy. One supervisor remained at Commissary, which was actually part of the Dining Unit building, dispatching Commissary high-lift trucks back and forth to the terminal and supervising the assembly of liquor, “mix” (soft drinks, club soda and tonic water), wine and champagne kits. Scented towels were prepared, still using real cloth and rolled individually, then placed in foil-covered pans for heating in-flight. Passenger Service Kits, or PSKs, contained items such as airsick medications, aspirin packets, coat tags, matches, etc. Aircraft cabin cleaning was the responsibility of Fleet Service, which reported to the Maintenance Foreman on duty. While all of our Commissary people were men, all the Fleet Service workers were women. They pulled up to inbound and overnight aircraft in “pie wagon” vans, attacking the interiors with elbow grease and great pride. When they were done, the airplane interiors sparkled. Pillowcases were replaced along with any soiled blankets and neatly stacked in the open, overhead racks. In the lavatories, toilets, sinks and floors were scrubbed and mirrors were wiped clean. After carpets were vacuumed, or shampooed (on overnight layovers), “rug runner” covers were placed installed until just before passenger boarding. These gals were good, and Mr. Heep was rarely unhappy with the results of his occasional spot checks. I will never forget my first day at Commissary, on November 20, and not because of the excitement realized from a new job. Reporting on the dayshift, I was introduced to those not already met. After my informal welcoming, Ron Green took me up to the terminal to learn the intricacies of meeting and checking flights. There was so much to learn; fortunately, I had a patient mentor. We carried radios that linked us to the Dining Unit and the Flight Information Coordinator, who announced flight arrivals, gate changes and other pertinent information. After the first morning departures were taken care of, Ron turned me loose to meet inbound flights and sign liquor inventory papers. Hostesses had to wait up to 15 minutes for us before they could leave without a signature, but our goal was to be on the Jetway waiting for them as the passengers disembarked. As I approached Gate 38 to meet an inbound flight from San Francisco, a businessman came rushing out of the Jetway, asking where Flight 442 was departing from. I told him that trip had already departed. William Ness had missed his flight out of Oakland earlier in the day and was attempting to catch up via San Francisco and Los Angeles, to Louisville. Looking frustrated and upset, he needed assistance. I walked him to our Customer Service desk, listening to his tale of woe. Mr. Ness was to be met by a company airplane at Louisville; he worked for Bechtel Corporation. A quick check of schedules revealed a long wait for a combination of connecting flights to his destination, so I suggested that perhaps he could instead take our new Flight 128, which in July had begun the first Los Angeles-Cincinnati nonstop flights, and arrange for the corporate aircraft to meet him there. How about his luggage, I inquired. “It left ahead of me in Oakland; I’ll probably never see that bag again,” he lamented. At this point, PRR Jeff Black took over and secured a seat for him on the Cincinnati flight as I hurried back to Gate 38. As the morning unfolded, I was assigned to Flight 128 for galley checks. I watched as the airplane, a Convair 880, pulled into Gate 35. It had just completed a Check-C maintenance inspection at the hangar. Except for a complete base overhaul, Check-C was the most extensive servicing completed on our airplanes, taking several days. The Convair fleet received these checks at LAX. On board I found that the galleys had not yet been serviced and was about to leave when the hostesses entered the airplane. I chatted briefly the two working first class while waiting for the Commissary trucks, then completed my first galley check alone; Flight 128’s passengers began boarding about the same time. I didn’t see Mr. Ness and wondered if perhaps he had been rerouted on another flight. I was busy elsewhere when word came over the radio that the forward door on Flight 128 could not be properly closed. Mechanics were called and The 880 was still at the gate an hour later when Ron and I returned to the Dining Unit for lunch. We ate with Dining employees in a small room off the kitchen, giving me time to meet more of my co-workers. After lunch, the two of us were about to leave for the terminal when someone tossed us a bag of coffee packets, with a request to drop them off at Gate 39, where Flight 128 was finally about to leave following a change of aircraft. It was raining and as we approached the gate to find the 880’s engines already running and the Jetways pulled back; too late for the coffee. Ron and I spent the balance of our shift checking flights and visiting the top-off room, which he had designed. It contained basic Commissary supplies and a refrigerator that held meal trays and entrees. Last-minute customers required last-minute meal boarding and this was the solution. We replenished the coffee supply with what had been intended for Flight 128, then checked a few more flights before ending the day back at the Dining Unit. I had learned a great deal. I was at my brother’s house that evening when the news broke on television: Flight 128 had crashed on approach to Cincinnati. Of the 82 passengers and crewmembers aboard, 70 died, including Marilee Kivett and Barbara Posthumas, the two hostesses I had visited with, and William Ness. On the following day, I again checked the galleys for Flight 128 in a somber setting. Several family members of the accident victims were leaving for Cincinnati. They had been booked on an earlier flight via St. Louis, which cancelled. The only alternative to get them there that day was Flight 128. Among those grieving loved ones in the gate area, I approached two unaffected passengers that were joking in raised voices about how they should receive free drinks because “this flight crashed yesterday.” A few whispered words brought immediate silence. By spring 1968, I was comfortable in the food and beverage business and had been assigned a straight swing shift schedule. There was plenty of overtime, but working days still appealed to me and I missed occasional weekends off. This was particularly challenging for the Dining & Commissary folks, as each of these elaborate food services required unique support items, such as printed menus, foreign magazines and newspapers. Our hostesses were decked out in disposable paper uniforms matching each theme: Italian togas, English serving wenches, French gold lamé mini-dresses and Manhattan Penthouse pajamas; imagine such a scheme in today’s world! Commissary personnel had the responsibility of placing the disposable uniforms pairs on the airplane, one each for the outbound and return trips. Hostesses changed in the lavatories. These outfits were one size fits all and secured with Velcro fasteners. Each could be trimmed down with scissors. Some crewmembers carried Scotch tape and staplers to assist as necessary. All went relatively smoothly until it was discovered that one of the dress selections – I believe it was the pajamas – was not flameproof. Four different themes were quickly reduced to three, which threw off our support item inventories because of increased use. But the gals seem to take it in stride and those who kept souvenirs found them to be worth something years later. 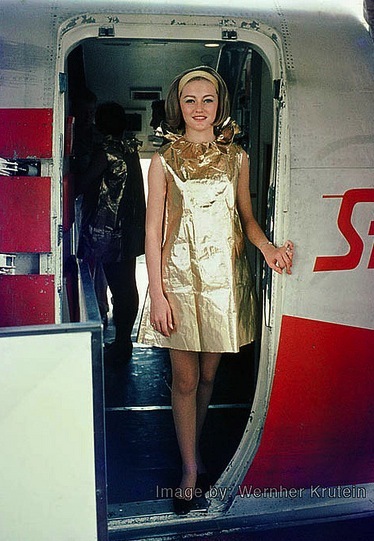 I found this Wernher Krutein image on the Internet, of Karen Pfeuffer framed in a Convair 880 rear boarding door, wearing the French paper dress. I flew with Karen out of Chicago before she married TWA pilot Hal Bagnall. They remain dear friends of mine. After a valiant try that fell a bit short on the delivery side, our marketing people declared victory and abandoned Foreign Accent, effective October 1, conveniently unveiling new Dalton of America-designed hostess uniforms on the same day. The TWA Skyliner employee newspaper stated that to make way for the new outfits, Foreign Accent “costumes” would be “suspended,” but in fact it was lights out for the paper dress era. 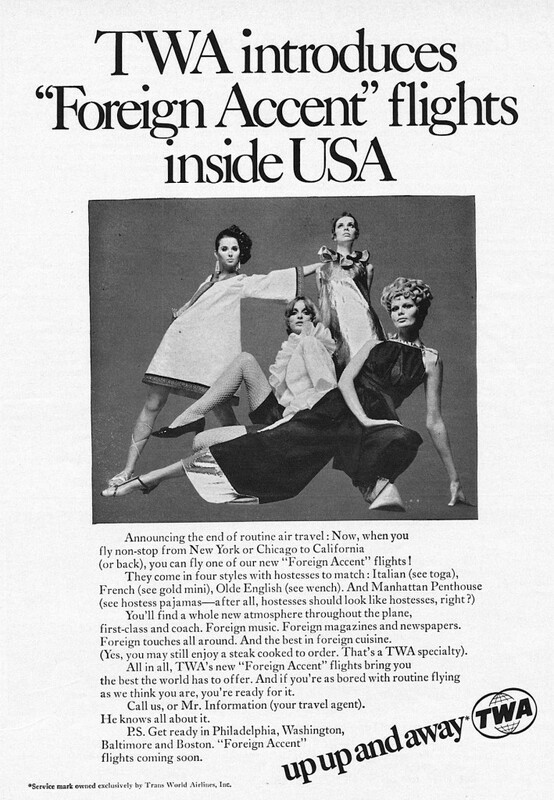 In bit of a reversal, Foreign Accent menus were replaced with a “Visit the USA with TWA” theme, but with it came the return of Royal Ambassador first-class service. With Gary Keller now in a management position at TWA’s corporate offices in New York City, I flew back to visit and get acquainted with others in both the Dining & Commissary and In-Flight Service departments. Gary and his roommate, Jerry Twyman, had an apartment on East 24th Street in Manhattan, where I could crash for the night. In turn, Gary made frequent trips out to California and stayed at the duplex I rented in Manhattan Beach. I expressed an interest in any NYC job openings, but nothing came to fruition. 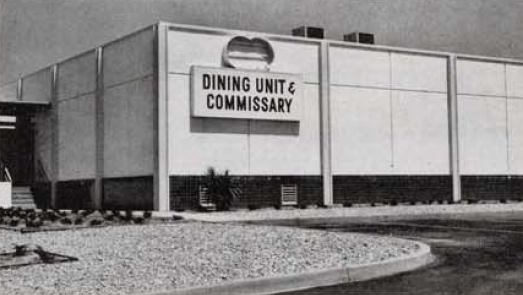 However, in April 1968, a new LAX-based management position, Instructor – Dining & Commissary was established for the Southwestern region, which covered Los Angeles, Las Vegas, Phoenix, Tucson and Albuquerque, based at LAX. The key word is “management,” because it included a TWA term pass, good for unlimited free travel on the domestic system year-around and overseas during the off-season. After initial interviews, the candidates were whittled down to three, including me. Everyone being considered for a management position was obliged to take the infamous Hecht test, which supposedly ferreted out the weaker candidates. The test was conducted at New York, and took several hours. Most of the questions concentrated on leadership and management skills, logic and some math. Apparently I passed muster, as I was offered the job and began my new position on June 3, with a salary increase to $800 per month. The extra money was great but, to me, that term pass was the real prize. I joined the Station Training department, headed by Senior Instructor Paul Convey. Other trainers included Jim McGann, assigned to the ATO, and Frank Royal, who took care of Air Freight. While our department reported to Station Manager Don Heep, there was a link between us and the system training department in Kansas City, where I was immediately sent for two days of basic indoctrination classes, taught by Don Adams, who would be my quasi-boss within that hierarchy. He and I would then pay a visit to the Commissary facility at Phoenix and I’d return to LAX. On the third morning of my Kansas City stay, after a late evening of celebrating, I was jolted awakened by my wakeup call at the Hotel President, next door to TWA’s Jack Frye Training Center. “Good morning, it’s 6 o’clock and the temperature is 60 degrees; have a nice day.” I turned on the radio and, while attempting to shake the cobwebs out of my head, heard these words: “In Los Angeles, doctors at this hour are attempting to removed a bullet from the brain of Senator Robert F. Kennedy.” When Don and I got up the next morning in Phoenix, we learned that Kennedy had died. It was a somber day for both of us especially while returning to LAX that evening. To say that I began overdosing on flying would be an understatement. There was some business travel mixed in, but I quickly began burning up my term pass on most weekends. Meanwhile, I set up a little office in the Dining Unit and began scheduling training classes. Working in conjunction with Kansas City, I received some interesting assignments, including visits to Lockheed’s L-1011 mockup. A great deal of planning had already begun on the TriStar’s galley equipment and layouts, although the type wasn’t scheduled to enter TWA’s fleet for another three years. One of the few sunny days during my European vacation was in Amsterdam, where I enjoyed a boat tour. Training at other stations in the region was fairly limited but my logbook shows several trips up to San Francisco for familiarization and numerous Kansas City visits to teach classes at the training center under the watchful eyes of Don Adams and Wayne Swope. That fall I completed my first trip to Europe, no longer having to wait the obligatory five years thanks to my management status. 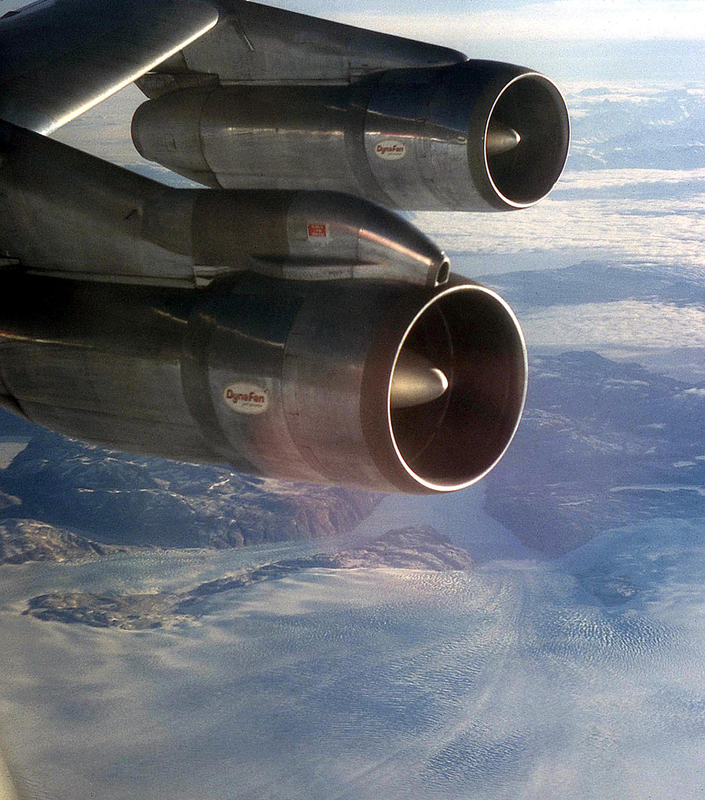 One goal was to fly that epic polar route, which was going to be a bit of a challenge because it was routinely discontinued for the winter months. By 1968, it operated as Flight 760 to London and Paris, but only one flight was scheduled to operate at the beginning of the off-season, on October 18. Fortunately, my vacation began on the 15th. I got one of the last first-class seats and set off on a 10-hour, 9-minute flight to Heathrow Airport. My one-week busman’s holiday trip also included visits to Amsterdam and Copenhagen, concluding with a return routing via London and Chicago. My old LAX roommate, John Merritt, had transferred to ORD and met me for dinner during my transit stop. Barely a month later, Don Adams and I completed a European familiarization trip to Paris and Rome, which really taught me the difference between domestic and overseas operations as they related to Dining and Commissary. We spent three days conducting training at TWA’s Orly Field dining unit, teaching the new DID, Data in Dining program that would bring most of the department’s record-keeping into the computer world. By November the European schedule had been reduced for the off-season and Paris did not have daily service. This created lots of time for training because local laws did not permit part-time employment. On days when no flights were scheduled, the dining people tested some impressive new recipes that were served to fellow employees. In Rome, I became reacquainted with Commissary Manager Omero Delfini, who had attended a class I taught earlier at LAX, along with Jack Waters (LAX), Chuck Ward (TUL), Lew Lewis (STL), Earl Stickles (BAL) and Bill Luskatoff (SFO). 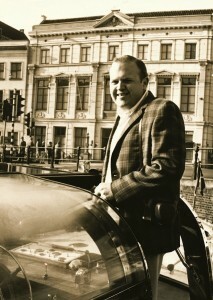 Don Adams left Rome a day earlier while Omero took me all over the city. His lovely wife prepared lunch fit for a king, followed by dessert out on their apartment balcony. Guido Nimmo, Senior International Training Center Instructor and a legendary TWA Rome veteran, joined us. I wanted to meet up with Gary Keller in London on the way home. 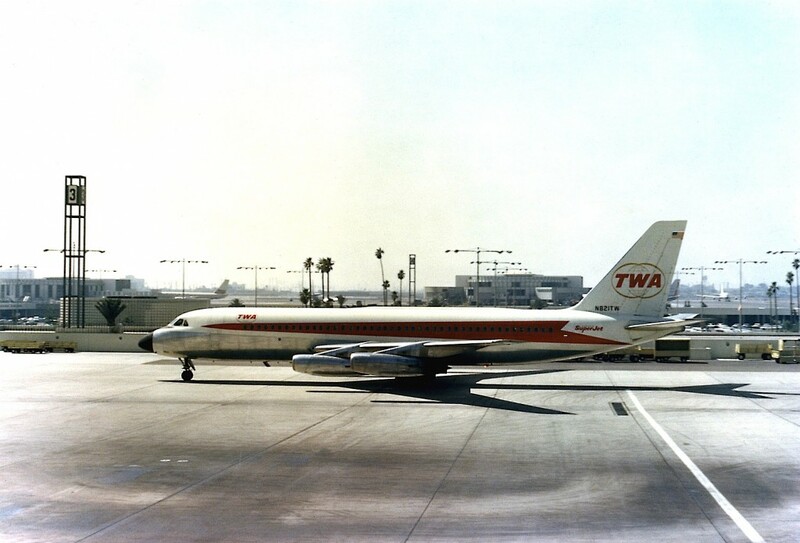 TWA did not have direct service or traffic rights between the two cities, but there were opportunities by utilizing TWA’s intra-European schedules that non-revenue employees were allowed to ride. After bidding good-bye to Omero and the cordial Rome ground staff, I boarded Flight 741, an early morning departure to Zurich, Frankfurt and New York, connecting in Frankfurt to Flight 701 that stopped in London on its way to JFK. All European service operated with 707s. Always the party organizer, Gary had arranged dates for us that evening. We ate at a small pub near the airport and attended a party, returning to the Excelsior Hotel in the wee small hours of the morning. I got the cook’s tour of the London Commissary the next morning, conducted by Dining & Commissary Manager Dave Thompson, then headed for downtown London and sightseeing. Our plan was to fly back to New York a day later, in time for the long Thanksgiving weekend. Upon check-in at the airport, we found that the JFK nonstop was running late and already fully booked in first class. Without missing a beat, Gary asked about Flight 771 to Chicago and found it had plenty of wide seats available. “Why ride in coach if we don’t have to?” smiled Gary. With the winter winds it took us 9 hours to cross the Atlantic and eastern U.S., but the time went by quickly. Between eating, drinking and watching the movie, we played Gin Rummy nonstop for a penny a point, 25¢ a box and double-skunk. On descent for landing at O’Hare, Gary was ahead and I suggested one game for double or nothing and won; we were even. I was lucky. Following a quick trip through Customs, the two of us ran – literally – to TWA’s domestic concourse and caught a flight back to New York LaGuardia. After a day to recover, we enjoyed a Thanksgiving feast at the home of Al and Barbara D’Agostino. At the time, Al was Director – Dining & Commissary Programs in New York, and would become yet another life-long friend. I came back to LAX a day later and managed to catch up on my sleep over the weekend before returning to work Monday. 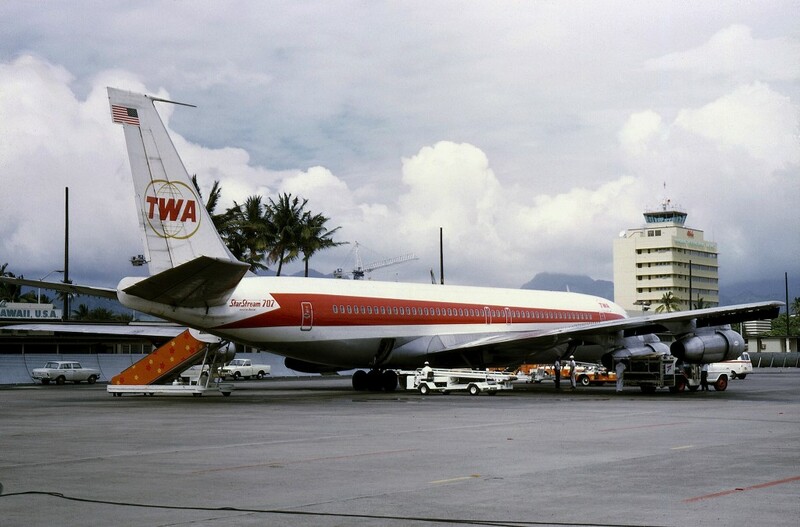 The year 1969 had barely gotten under way when a wave of “cost-saving steps” was implemented at TWA. Among the carnage was the temporary elimination of my training position. I returned to the Commissary Supervisor job on January 27, with a relatively small salary cut, which I was able to make up with shift premium pay. Tom McHenry, who had replaced me in Commissary, went back to his old Ramp Serviceman position. The hard part was turning in my term pass, by then well worn from frequent use. In retrospect, it was probably harder for Don Heep to deliver the news than it was for me to accept it. Paul Convey and I were summoned to his office, where the news was given personally and with great regret. Always a man of integrity, Mr. Heep spent the better part of a half-hour explaining the reasons for the cutbacks and assured me that he would push for reinstatement of the position as soon as TWA’s financial condition improved. In April, TWA began giving away $1 million as part of a bonus program for employees, which led me to wonder why my instructor job had still not been reinstated. A month later, it was and I immediately went up to Mr. Heep’s office. He smiled, remarking, “I suppose you’re looking for this,” and handed me that same term pass. My first assignment was to train Carl Cone as my Commissary Supervisor replacement. Peter Greenhalgh, our new Manager of Dining & Commissary, kept me busy with training most of the summer. In May I flew to Seattle for a tour of the Boeing 747 assembly plant in Everett, Washington, and walked through TWA’s first 747, which was still under construction. It was, to say the least, immense. I couldn’t wait to ride on it. 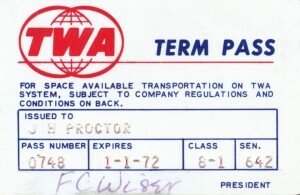 In December 1968, TWA was awarded trans-Pacific route authority, which provided us with around-the-world schedules. Service began August 1, 1969. Two weeks later I was sent to Honolulu to support an after-the-fact, press inaugural flight coming through Hawaii on August 17, en route from LAX to Hong Kong. The Commissary provisioning, taken care of by the caterer, also needed some help. 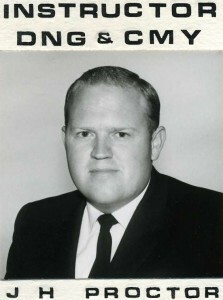 Bill Hargis, who I had worked with at LAX, doubled as a Station Supervisor and Commissary Rep. Along with Jim Hill at caterer Interstate Hosts, we got things sorted out and saw the press flight off. Former LAX TAs Jim Jimas and Norm Nishihira had migrated to HNL as well; it was like old home week with so many of my pals from California.